Services provided include Acupuncture, Auricular Acupuncture, Cupping, Herbal Medicine, Cosmetic Acupuncture and Dietary counseling. Acupuncture, developed over 3000 years ago, is the insertion of fine needles into the body at specific points along energy pathways or “meridians.” These points have been shown as effective in the treatment of specific health problems. When there is a disruption in the flow of energy, or “qi,” along these pathways the result is pain or illness. An acupuncture treatment stimulates the body to balance the flow of qi and return the body to a healthy balanced state. These points have been identified by the Chinese practitioners over a period of several thousands years. Herbal medicine is one of the cornerstones of Oriental Medicine. The study and use of medicinal herbs dates back to the beginning of recorded history in China. Herbal formulas are prescribed based on the individual patient’s condition and constitution. Frequently used alone or as an adjunct to acupuncture treatments, herbal formulas are available in capsules, powders and as raw herb decoctions. All herbs carried by Karuna Acupuncture are obtained from high quality suppliers. Auricular Acupuncture is one of the best known and most frequently used micro systems in Oriental medicine. By placing needles or pressure beads in the ear the corresponding area of the body is treated. Auricular acupuncture is often used to augment body acupuncture, combined with Herbal Medicine or used alone. It is commonly used for treating addiction, pain and emotional disorders. 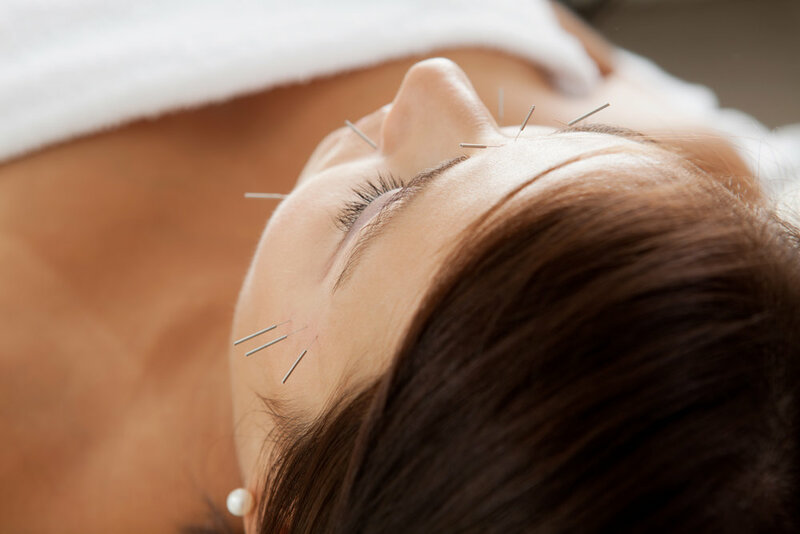 Facial rejuvenation, cosmetic acupuncture or acupuncture face-lift are all phrases that are used to refer to the use of acupuncture to promote and maintain healthy looking skin. The Mei Zen acupuncture system is firmly rooted in the principles of Traditional Chinese Medicine and it addresses both the symptoms and the underlying causes of aging. According to Chinese Medicine, balance is the key to good health and good health is the key to looking and feeling your best. The Mei Zen protocol addresses the underlying imbalances that contribute to signs of aging. This protocol increases the blood flow and circulation to the face, which promotes the production of collagen and improves the overall color, tone and vitality of the complexion. Mei Zen is a 10 treatment protocol and includes nutritional and lifestyle recommendations. Appointments are scheduled twice a week for 5 weeks. Monthly maintenance treatments recommended. Not ready for the full 10 sessions? Try just one facial treatment to experience a taste of the benefits. We can’t stop the aging process, but with Mei Zen we can age gracefully! Cupping therapy involves creating a vacuum inside the of special glass jars using heat. The jar is then applied to the skin. This stimulates qi and blood in the local area. ‘Moving Cupping’ involves the use of massage oil on the skin before the application of the cup. This allows the cup to glide along the skin, much like a mini massage. Used for the treatment of musculoskeletal ailments. What we eat is the basis of our health. Using the principles of Oriental Medicine as a guide, I work with my patients to design a practical, easy to apply plan that supports your health through the food choices that you make.